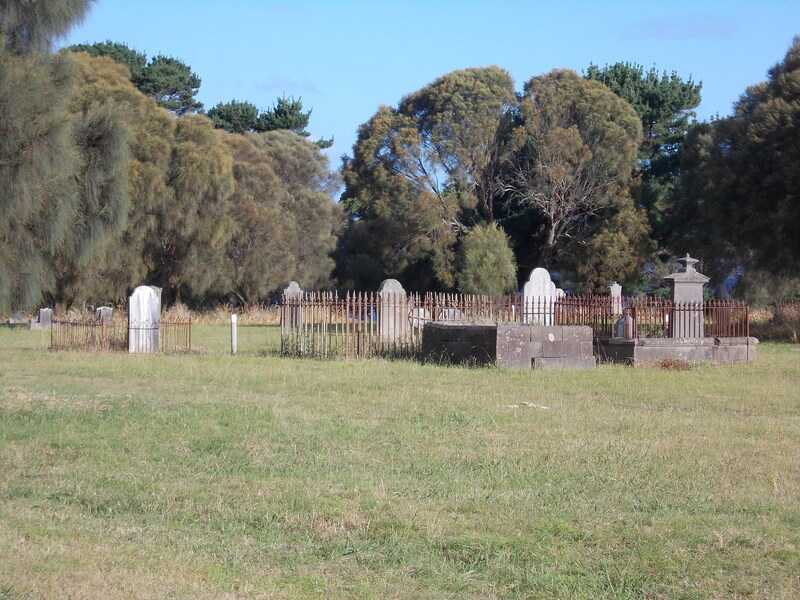 “The Cemetery is the first object to greet the ascending tourist. 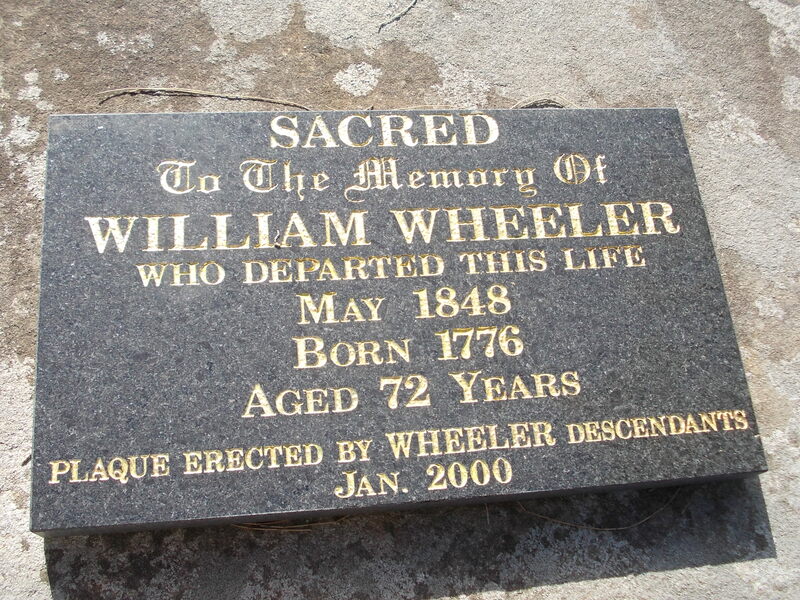 One of the older graves in the cemetery is that of William Wheeler who was born in 1776. 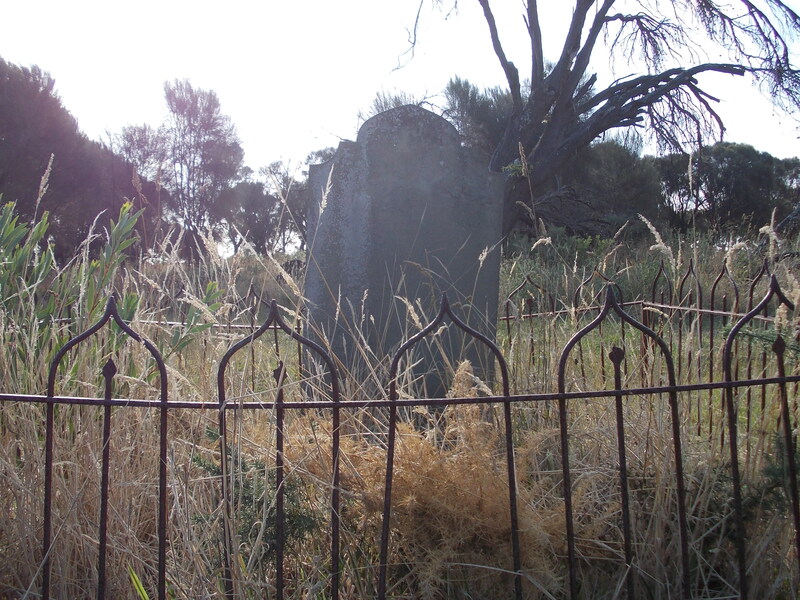 The grave of James Fawthrop was of interest to us. 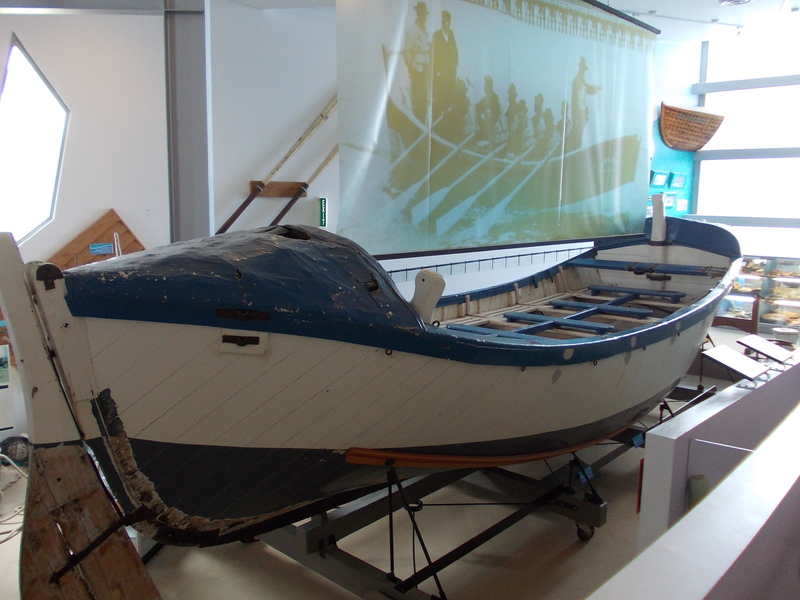 Earlier in the day, we visited Portland’s Maritime Discovery Centre housing the Portland Lifeboat captained by James Fawthrop. 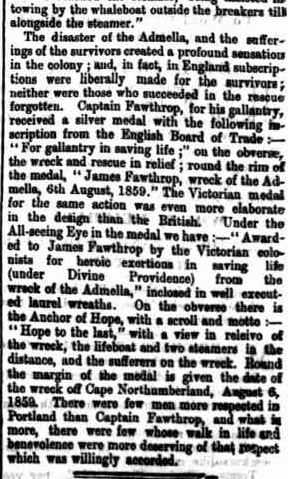 Fawthrop and his crew were part of the rescue of the steamer Admella in 1859. 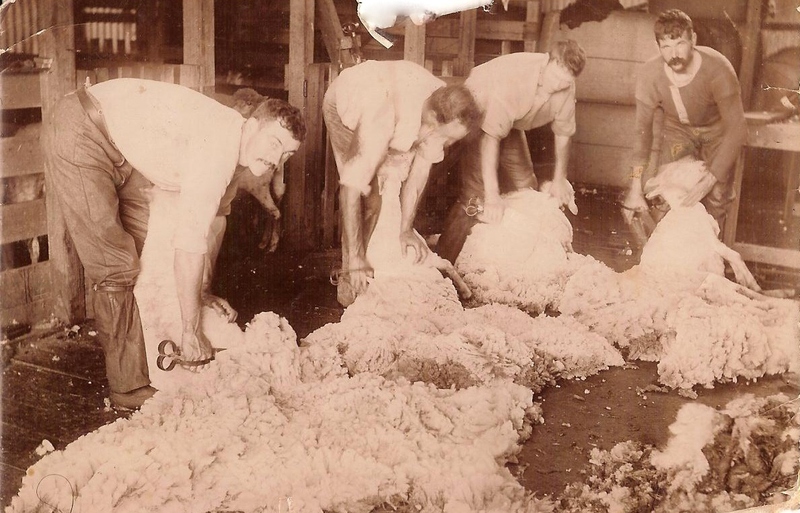 His heroics are a legendary part of the maritime history of the stretch of coast from the south-west of Victoria to the south-east of South Australia. 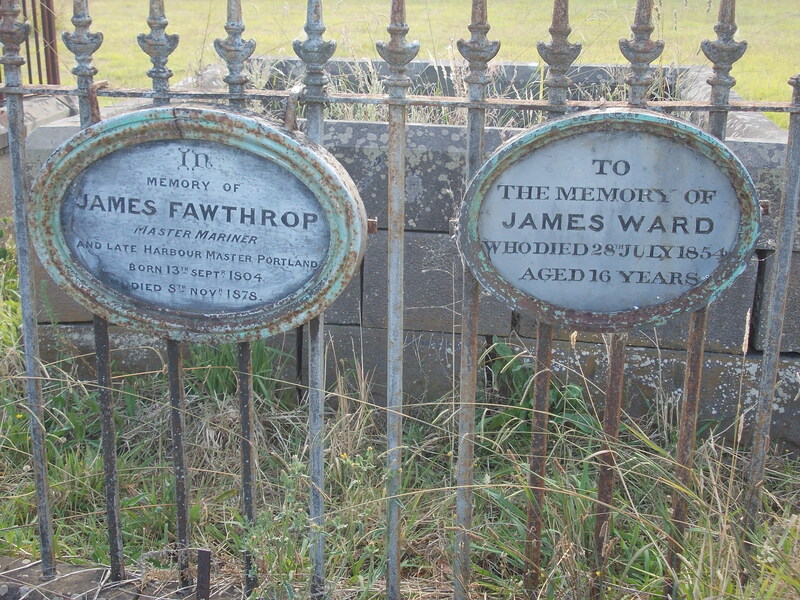 After a search of the Victorian Death Index, I found that James Ward was Fawthrop’s stepson. 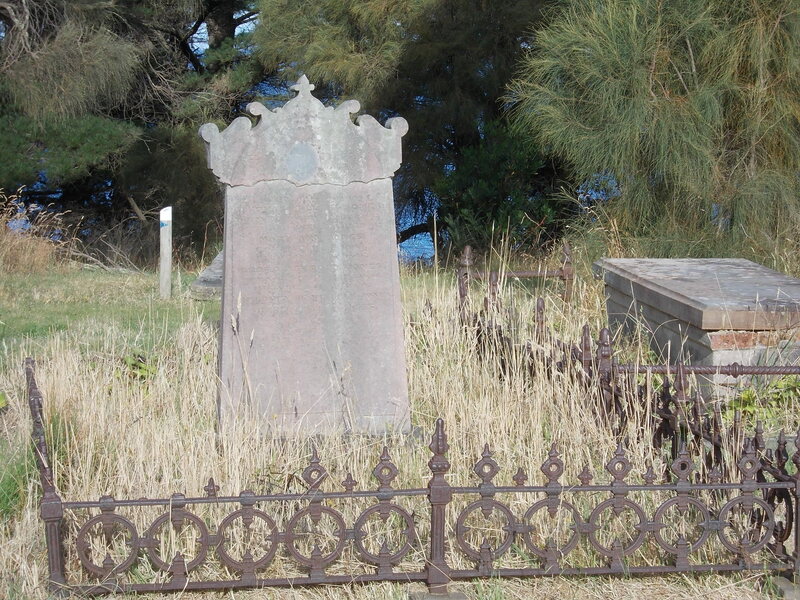 Fawthrop’s wife, Jane Rosevear, was previously married to James Ward senior who drowned in Tasmania in 1838. 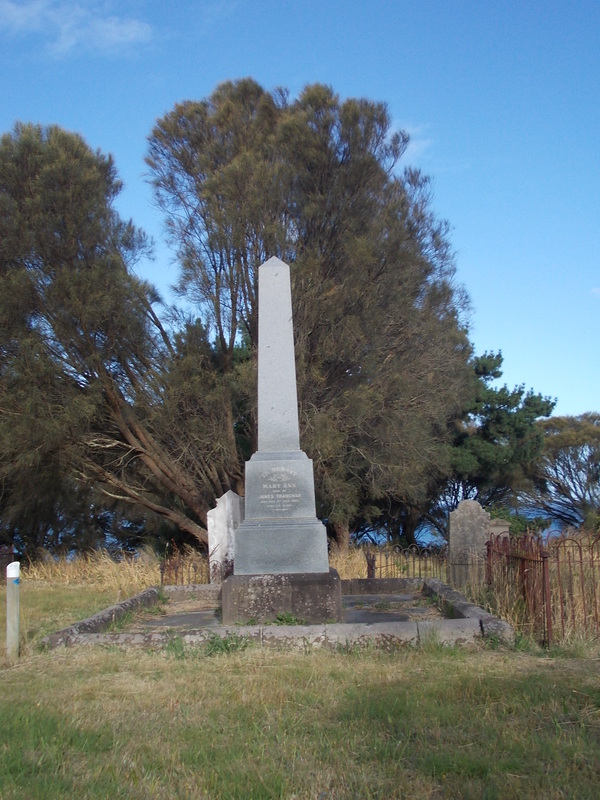 The following is Captain Fawthrop’s obituary from the Border Watch of 20 November 1878. 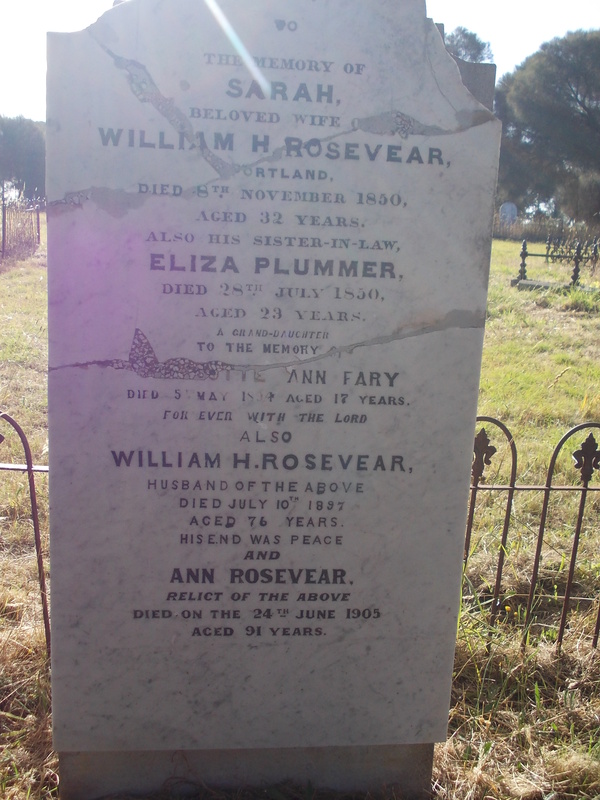 William and Sarah Rosevear were the parents of Jane, wife of James Fawthrop and grandparents of James Ward. William Rosevear was the coxswain aboard the Portland lifeboat with his son-in-law during the Admella rescue. 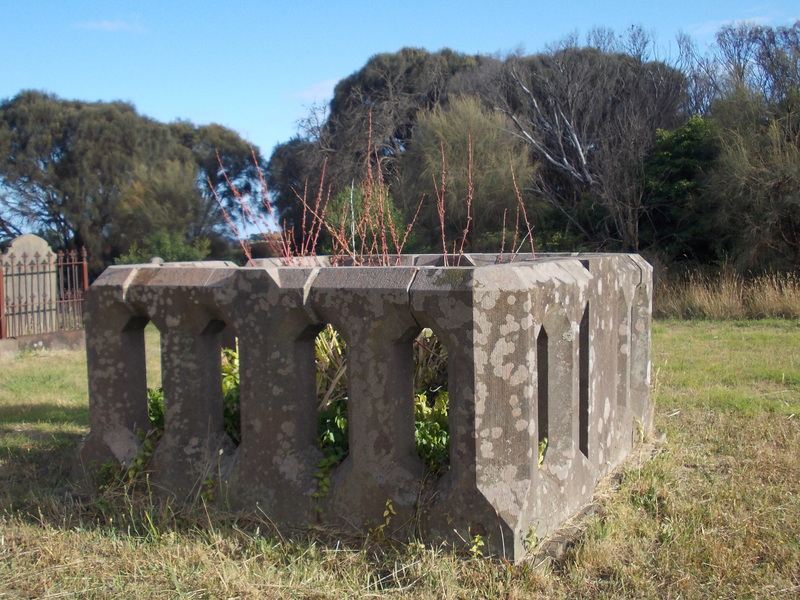 This entry was posted in Cemeteries, Western District History and tagged Fawthrop, Portland, Rosevear, Trangmar, Ward, Wheeler. Bookmark the permalink. 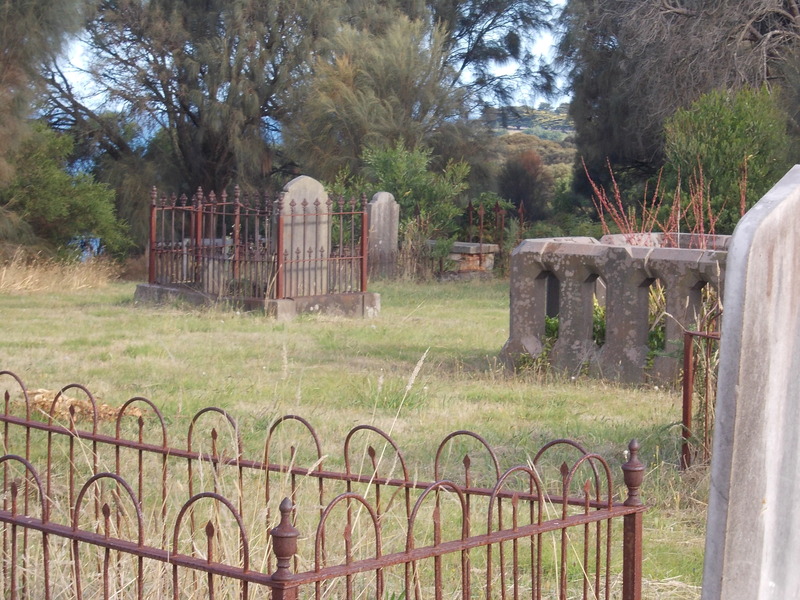 Looks like a great cemetery to while away several hours. I liked seeing how the story came together.